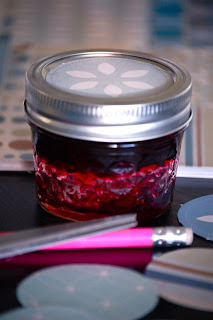 Crafty Teacher Lady: The Best Blueberry Jam EVER! The Best Blueberry Jam EVER! Yes folks, the time has come for blueberry season which means homemade BLUEBERRY JAM! I made jam for the very first time last summer and gave it away to friends and family. I was told that it was the best they had ever had; not to bad for a recipe I found online after entering "easy blueberry jam recipe" in the search bar. Come to find out, canning and jarring food is quite the process. Since I don't have all the equipment (or patience) to give my jarred jam a boiling bath, I just recommend it be eaten within one month and kept refrigerated after opening. 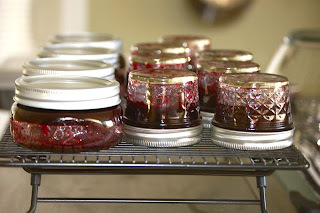 Several recipients of this jam last year have reported this wasn't a problem and that they did, in fact, eat the entire jar in one day (you know who you are!). 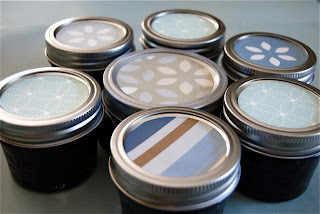 I think the jars are now as pretty as the jam is delicious! I have my sewing room back!